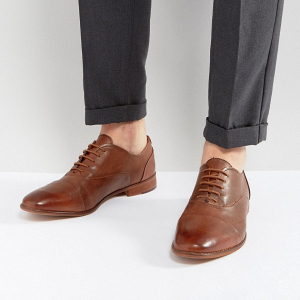 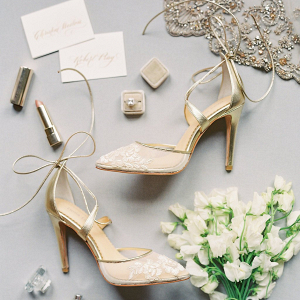 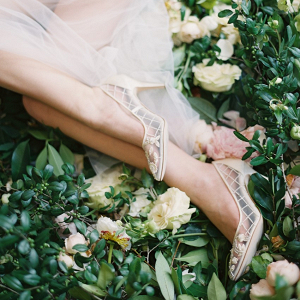 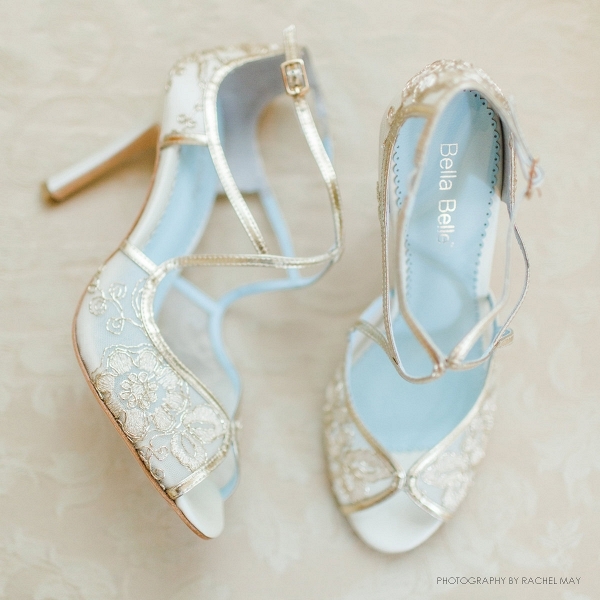 These are the shoes for those brides looking for romance and drama. 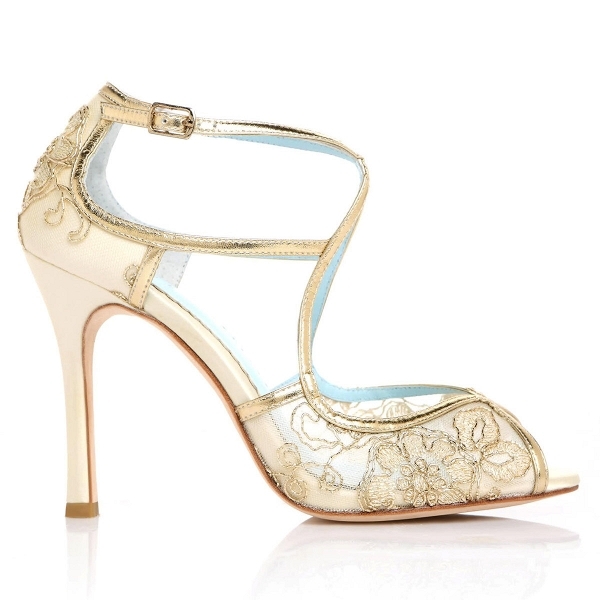 Handmade with embroidered gold floral lace over silk, the criss crossing genuine leather straps ensures secure fitting. 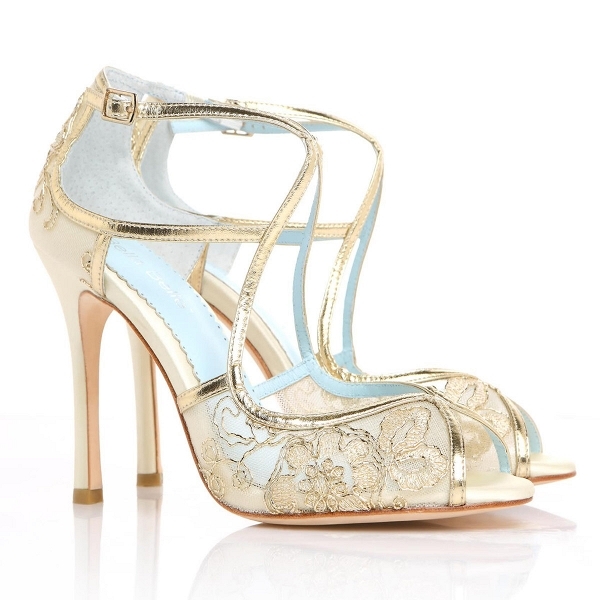 The heel measures 4 inch tall but Bella Belle Shoes' extra padded foot bed ensures comfort all day.